Cosio Law Group was founded in 2000 by Eduardo Cosio, a former capital partner at Hinshaw & Culbertson. Our firm has established itself in civil litigation defense with an emphasis in premises liability, wrongful death, products liability, motor vehicle operation, commercial transactions and construction litigation. The firm and its network of affiliated counsel have litigated and/or tried cases in Miami-­Dade, Broward, Palm Beach, Monroe, Lee, Martin and Collier counties. We are proud to be trial lawyers, and take a proactive approach to the defense of our clients, and the investigation of all cases, in an aggressive, yet cost ­effective manner. 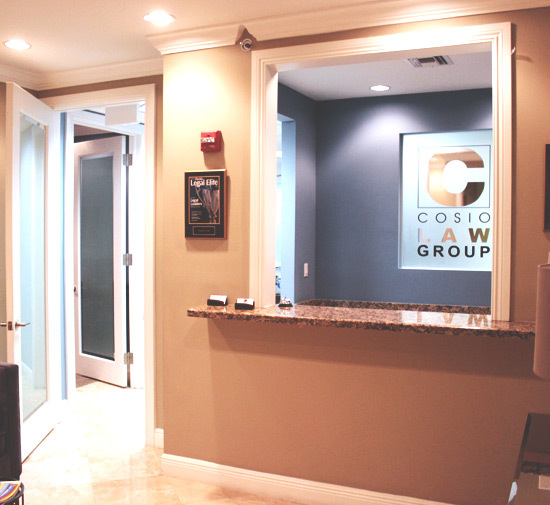 Partner with a prestigious law group you can trust and contact Cosio Law Group at (305) 567-0503 or click here to learn more about our wide range of practices. Just call (305) 567-0503 to schedule a consultation.